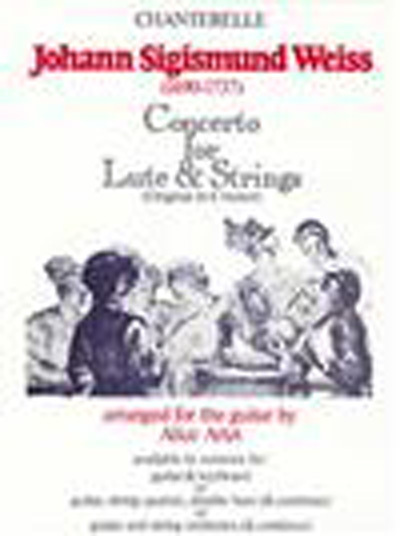 includes full-score and parts (for string quartet and double bass) are available for performance by string ensemble (one player per part) or string orchestra. The editon provides a fully realized part for keyboard continuo and thereby also makes performance in guitar and keyboard form possible. Johann Sigismund Weiss (1690-1737) makes an attractive and valuable addition to the guitar concerto repertoire. It has been arranged by Alice Artzt in accordance with the perfomance practices of the period, and two guitar versions are included. One is fully ornamented, the other, and easier alternative, is designed for hte intermediate player.